Your liver is your very own chemical processing plant. It receives 30% of the blood circulating in your system every minute – performing chemical reactions to remove harmful toxins and distribute and store essential nutrients. As the liver performs a variety of important functions it is extremely vulnerable to a variety of metabolic, toxic, microbial, circulatory and cancerous insults. Awareness of the liver’s functions and what all can cause liver disease can help you take the road to great health. Your blood would probably never clot! The liver plays a vital role in maintaining the body's metabolic balance. As the liver performs a variety of important functions it is extremely vulnerable to a variety of metabolic, toxic, microbial, circulatory and cancerous insults. The liver is the heaviest organ in the body and one of the largest. It's located in the upper right portion of your belly under the ribs and is responsible for functions vital to life. The liver primarily processes nutrients from food, makes bile, removes toxins from the body and builds proteins. It's easy to see how inflammation of the liver, or hepatitis, interferes with these important functions and can lead to poor health. Fortunately, the liver is extremely resilient and most cases of liver inflammation don't even come to medical attention, but in cases of severe liver disease, there can be serious interruption of these essential liver functions. Let's look a each of these functions a little closer. Every time you feed, your liver feeds you. Once food is digested, nutrients enter the blood, which are taken straight to your liver for processing. Depending on how low or plentiful these nutrients are in your body, the liver cells will either release the goodness to when it’s needed or store it for when your body needs a boost. We all know we need carbohydrates for energy. 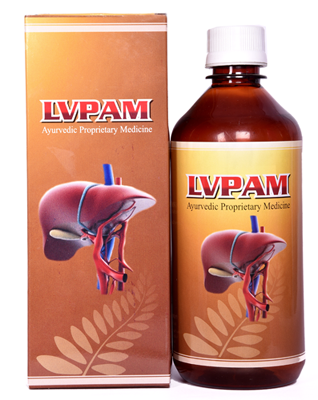 But did you know that it’s your liver that does the job of managing the release of this vital energy source? Once carbs have been broken down into glucose in your gastrointestinal tract, the glucose enters the blood stream and is taken straight to your liver to regulate and maintain healthy levels. Your liver also stores excess glucose in the form of glycogen, ready for converting back into glucose when levels drop between meals, during exercise or when you’re fasting. And here’s the really clever thing. Your liver can also convert non-sugars, such as amino acids, into glucose to keep levels healthy. It does some pretty impressive things with fats too. Your liver is your fat processing factory – it breaks down fat and compounds such as lipoproteins, cholesterol and phospholipids. If fat is in excess, the liver combines fatty acids and glycerol to form a storage molecule and transports it to your body’s storage depots, such as the subcutaneous tissue (tissue just under the skin). Then, at times when energy levels are low, between meals and during exercise, this stored fat is converted back into glycerol and the liver turns the remaining fatty acids into an alternative energy supply. Proteins are also vital for a healthy body, and your liver takes charge of these too. Once proteins are broken down into amino acids in your intestines, they enter the blood stream and flow direct to the liver. Here, the liver cells (hepatocytes) go to work on removing nitrogen from the proteins which rapidly changes into ammonia – a highly toxic substance. Your liver then acts fast to convert this into urea to be excreted into the urine and eliminated from your body. With excess amino acids, your liver converts them into fat for storage or, if your body needs an energy boost, it will use them to create glucose. As well as glycogen for energy, many vitamins and minerals are also stored in your liver for use when your body needs them most. Each individual liver cell will stock many of your essentials, including vitamins A, B12, D, E and K, as well as minerals like iron and copper. When harmful toxins and substances enter your blood stream, your liver acts fast to detoxify and destroy them. Some may simply be a by-product of a normal metabolism, others may be ingested or inhaled substances such as drugs and alcohol. Filtering the blood, your liver removes dead cells and invading bacteria, processes nitrogen and cholesterol and neutralises harmful hormones. All the unwanted substances and toxins are then quickly transported to your intestine or your kidneys for disposal. The digestive system immediately begins to break down the food that we eat into smaller and smaller pieces. Eventually these nutrients will enter the blood and travel to the liver through the hepatic portal system, the major pathway that blood takes from the digestive system to the liver. The liver will then process these nutrients in different ways, depending on the body's needs. It usually stores some of the nutrients in a form that the body can use for quick energy. The rest will be used to make other important chemicals the body needs. When the liver is severely damaged, such as in liver failure, it can't continue to process nutrients from the blood that the body must have. Without aggressive medical care, the absence of these essential liver functions can result in signs of serious illness like brain damage and coma. Bile is a thick, green-yellow fluid that the liver produces to help digest food, especially fat, as it passes from the stomach to the intestines. This fluid is made in the liver, but is stored in a nearby sac called the gallbladder. When a person eats a meal heavy in fat, like a juicy steak, the body will use its store of bile to help break down the fats in the steak for digestion. All of the blood in the body will eventually pass through the liver. This is important because the liver needs to pull out any bad things in the blood, such as toxins, and remove them from the body. Some of these toxins are drugs, like penicillin and Tylenol, and other toxins are things that the body needs but is done with, like damaged cells, proteins and old hormones. The liver prepares all of these types of toxins to be removed from the body. However, when the liver is damaged, these toxins can't be removed and they start to accumulate creating problems. A protein is a complex chemical that is essential to living things, like plants, animals and people. Proteins are everywhere in the body, and need to be constantly produced. The liver is in charge of building many kinds of proteins that the body uses every day. For instance, there are many proteins produced by the liver that are responsible for blood clotting. When the liver is damaged, sometimes the body isn't able to clot blood effectively. In mild cases, it just takes a longer time for bleeding to stop. However, in severe cases the blood wouldn't be able to clot. A simple cut on the skin would lead to continued bleeding (though not necessarily a dangerous amount), and possibly bruises. 1) Children: 3 to 5 ml twice a day. 2) Adult : 8ml twice a day. The liver is the largest solid organ in the human body. It receives about 1.5 litres of blood per minute, and is involved in three major vital functions that are essential to our body: cleansing, synthesis, and storage. There is a synthesis function : The liver is involved in metabolising carbohydrates, lipids (cholesterol, triglycerides), and proteins (albumen). It has an essential role in the production of coagulation factors, to prevent haemorrhaging. It is involved in the production and secretion of bile (600 to 1200 ml per day), which is stored and concentrated in the gall bladder. There is a storage function :The liver stores the fat-soluble vitamins (A, D, K, and E) and glycogen. It thus stores energy in the form of sugar and makes it available to the body in case of need.